Reading Restoring your Apple TV (when its white light is flashing) | Comics and gadgets, I opted for the first option: a soft-restart of the Apple TV. 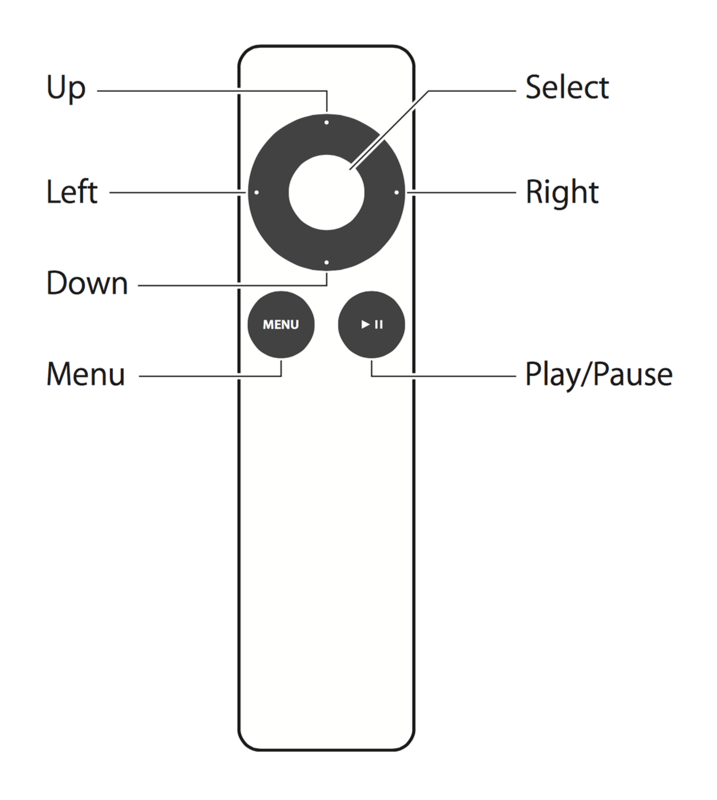 To do that you have to press menu+down on the Apple Remote at the same time for 5+ seconds, then wait for the Apple TV to restart. That initially did show an image over HDMI which later disappeared. I didn’t get the image at first as I thought it was looking for iTunes media over USB (like from an iPhone or iPad), so I waited for a time-out to occur. After a while that image disappeared and the Apple TV white LED started rapidly flashing. Not good. 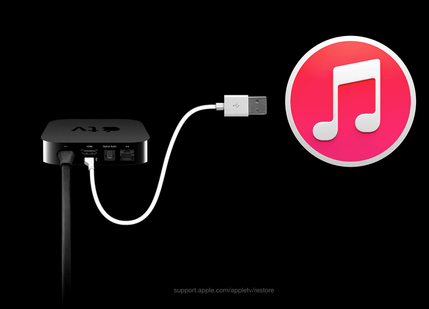 Later I found the image was portraying a USB cable not having a connection to an iTunes logo and some dark grey text on a black background pointing to support.apple.com/appletv/restore. I didn’t see that at first as the room was a bit brightly lit since we had a lot of sun that day so this non-descriptive image with grey on black UX worked really well. Conclusion: I had to restore the Apple TV which I thought would be straight-forward as it had been connected to my iCloud account. This didn’t run smoothly at first: first it took a very long time for the firmware to download (I have a 50 megabit fiber connection, but it took like 10 minutes to download). Second I got an error 1611 during the restore, even after a second try.. Since the Apple TV was tucked away behind the TV, I had used a 2 meter USB cable that works fine to transfer data to/from my Nexus, HTC and OnePlus devices and the Mac. Apparently, Apple is really picky about the USB cables used, but repeating the process with an Anker 1 meter cable worked fine. After the process finished, the Apple TV rebooted. So I disconnected power and micro-USB, then connected HDMI and power to see the image on TV. To my surprise, the restore had completely wiped the Apple TV into an “out-of-the-box” state. So basically iTunes performed a factory reset without restoring any of the settings. I had to re-configure everything I configured before (apparently, Apple TV does not store settings in the iCloud which I found out when entering my iCloud credentials didn’t restore the rest of the settings. Nice!). 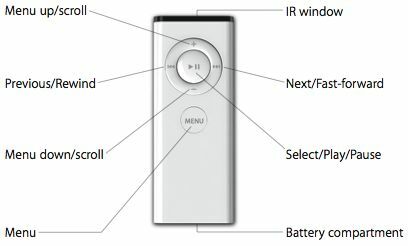 Since selecting characters using the various types of Apple Remotes is a plain and the Apple TV suggested to connect a Bluetooth Keyboard, but I don’t have them (I’m picky about keyboards and pointing devices), I searched for Mac based Bluetooth Keyboard emulators/simulators and found two through Type on Your iPhone or iPad Using Your Mac Keyboard and Review: Use your Mac as bluetooth iPad keyboard | Tinned-Software Blog. They increased in price (to EUR 10) and I choose Type2Phone. Later I also found TypeTo. The Bluetooth keyboard emulation depends on having a Bluetooth pairing. Somehow for a factory-reset Apple TV that takes multiple tries but eventually succeeded. I totally forgot how to reorganise the home screen and the initial one is a mess (all these USA TV stations, who needs them over here?). Luckily Arrange and hide apps on your Apple TV – Apple Support was of help. Too bad you cannot do that form your bluetooth keyboard. Since Apple tends to eventually remove stuff from their site, I’ve included the images as web archive links of the remote images below. This entry was posted on 2017/03/03 at 06:00	and is filed under Apple, Apple TV, iOS, Keyboards and Keyboard Shortcuts, Power User. You can follow any responses to this entry through the RSS 2.0 feed. You can leave a response, or trackback from your own site.